The burnt out car on Nottingham Way. A car was set alight in central Peterborough. Firefighters were called to Nottingham Way at 4am on Monday, January 12. An investigation revealed it was started deliberately. 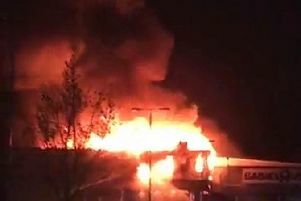 Anyone with information about the fire should call police on 101.